My last post on this blog, last December – it was time to make some changes in how I was blogging to better support Cheetah Learning. We are meeting our goals with better Search Engine Optimization through blogging efforts with the Cheetah Learning blog. In the Cheetah world (as in the rest of the world), a lot changes in nearly a year, and I realized, I want and need a blog separate from the main Cheetah Learning blog. I need a forum to share whatever new and crazy idea I’m testing out – my latest recipe, insight, challenge I’ve set for myself, etc. I also have a new marketing team at Cheetah Learning who are inspiring me in new ways with the Cheetah Learning blog so I have more brain space now too to share other parts of me. The 15 Week Neurofeedback Experience – resurrecting my personal blog to track this. I’ve been toying around with the idea of doing some type of self – improvement challenge. 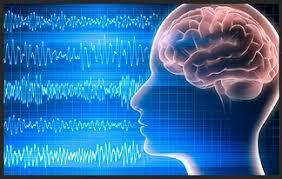 I started a new round of neurofeedback training to continue to work on optimizing my brain performance. My father passed away at the end of June and my brain was not performing as well as I wanted it to – just like it did after my mother passed away. Losing one’s parents is a signifcant life stressor – so I guess I’m just “normal.” I found my way to a neurofeedback clinic that specializes in a form of neurofeedback called Quantitative EEG I had been wanting to test out. We set up a 15 week program to get my brain waves and connections operating in an optimal state. I’ve already done three sessions and I’m liking the impact on my self-discipline and get up and go. So I figure it might be a great time to blog about the changes I’m experiencing as I go through this 15 weeks of QEEG neurofeedback. I am doing three to four hour long sessions a week of QEEG training. We are starting out with one channel programming to reduce the amplitude of my alpha waves. For me, with loss and grief, with the right temporal lobe damage sustained when I was thrown out of the car at four years old, my brain behaves in some odd ways. Most people’s Alpha waves decrease when doing tasks (this is when the Beta waves naturally increase). But for me, while I’m not all that conscious I’m upset, and think I’m coping fine, I will start having a hard time staying awake while reading or working on the computer. This is a sign my Alpha waves are taking over when they are supposed to be quieting down. So the first task is to help me stay awake while I’m working. I’d say it’s working – still at it on this blog, no sleepiness. The next phase is to get all parts of my brain firing in the right patterns. While the first brain improvement activity in 2013 got more blood to the damaged parts of my right side of my brain, the QEEG report showed the connections are not balanced on the right side. So once we quiet down the Alpha waves, we are starting on improving the connection balance throughout my brain. It will be fun to see what happens with that – stay tuned. I’ve done hundreds of live radio interviews, and a number of taped TV interviews. But I realized today, I have never done a live TV interview. I’m so excited as how often in life do you get to have a first? 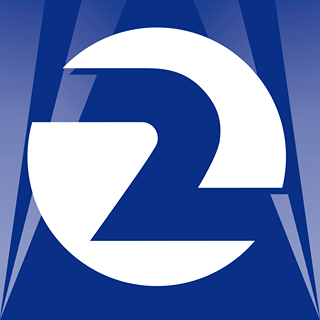 I was invited to do this interview on KTVU’s morning news show to talk about how Project Management has helped expand my PR team’s business (we’ve been working with the same Public Relations company Urban Dynamics for 14 years). What’s even more exciting – it’s in our own back yard. Cheetah Learning has been based just outside the Northern California Bay Area for as long as we’ve been working with Walter Urban and have Cheetah Alumni in over a hundred companies in the Bay Area (some very big companies too). 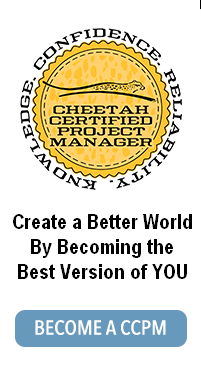 We even have a Cheetah Exam Prep for the PMP class in San Francisco this week. Watch me live to share this first with me – www.ktvu.com/live at 9:30 AM. (January 19, 2016). If you’re in the Bay Area – it’s on Fox Channel 2. 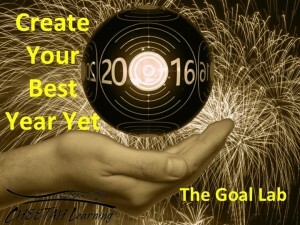 This is a topic near and dear to my heart – picking great goals and pursuing them with great gusto. Every year at this time, I brainstorm goals for the upcoming year and figure out the best way for me to pursue them. Granted, things come up during the year that sometimes change my course, but more often then not, some amazing experiences come out of this activity. I was asked by several colleagues to put together a quick 5 hour online class on the techniques I use to pick and pursue the goals that bring me such a fulfilling and satisfying existence. This course is guaranteed to open your mind up to the goals that can bring you much happiness and help you find a way to pursue them in a way that makes it much more likely you’ll experience great success in your pursuit. We’re offering it to the first 50 people for $50 (it’s regularly $310). Use the promotion code “goals2016.” Click Here. What I’ve learned today – when a rental car company wants to hit you with a huge one way drop off fee, check out how much less expensive it is to do the same trip with a Uhaul. Granted you’ll have to drive a moving van to get to where you’re going, but you could make some extra cash on the adventure by moving someone’s stuff too. Had to hit the ground running AFTER I did my yoga practice today. And I swear, I checked the ferry schedule three times – once when I made my tickets, once a couple weeks ago when I was concerned and once when I got here – yup – all said the ferry left Haines at 7 AM on Tuesday Dec. 1, 2015. Arriving in Juneau in plenty of time to make the 2:20 PM flight to Seattle. So my friend calls and asks what I’m up to today – leisurely last day in Haines. I said – “yeah I’m catching the ferry at 7 AM tomorrow to Juneau.” He says, “You sure? That is the standard time it leaves Juneau for Haines.” I say, “Yup, I know, I checked it three times.” Well he checks, nope, it’s going the opposite way. The ferry is leaving at 6:30 PM tonight to get to Juneau. What did I learn? Well first off, thank god I woke up thinking I had a leisurely day ahead of me. It made my new morning yoga routine so luxurious and peaceful. I also learned – there is something messed up with the Alaska Marine Lines website (or how I’m using their website). And for things as important as what time is the ferry leaving – CALL THE FERRY TERMINAL. Carb Craving Dreams – My Subconscious is Rebelling. It’s amazing how my dreams have changed since I started working with my dietitian. Now I dream of having cereal with milk for breakfast, or enjoying white bread slathered with butter, eating large plates of pasta, or a large cheese pizza, and then there is the plate of chocolate chip cookies (with nuts). 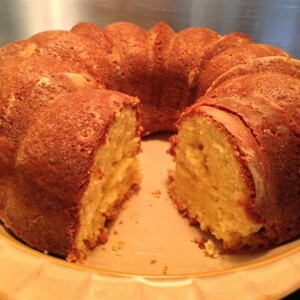 Yesterday I was longingly watching a show on the All Recipe Roku channel on making this luscious pound cake. These dreams are so so easy to satisfy and I’m very happy what creates bliss for me is now so simple. While I’ve become a pro at counting carbohydrates – and much more conscious of how these impact my blood sugar levels (and my overall health), I preferred life without carb restrictions. I had a friend in my 30’s who said people who achieve their dreams too soon die young – was this what she meant? At about the same time in my life, I was lamenting to my mother how my dreams of life long marriage died with my divorce – her encouraging response was – “you’re young you can create new dreams.” The same is true here. Is it really worth it to hold onto dreams of high carbohydrate delights? Loving myself more may require expanding my dreams beyond the carbs I’m currently craving. Kate’s comment: I think that the fact that carbohydrates are appearing in your dreams shows how close of an emotional connections food can have for us. Sometimes, it’s foods like this that can be higher maintenance for our bodies and need to be watched a bit more closely than others. Very interesting that for you, this manifested in your dreams. September 20 – Choose your goals and your actions so you can live in peace with others and goodwill with your own thriving. September 19 – You attain enduring happiness when you learn how to put your heart and soul into using your innate strengths to pursue clear goals. September 18 – A great paradox of pursuing a goal is the role “equanimity” plays in the journey. It seems as soon as you surrender to what is, the steps to achieve your goal happen without effort. September 17 – Mini-movies you play in your mind about what you think happened or what you are worried about happening keep you from seeing what is actually happening that could help you achieve your goals. Shut off your inner movie theater and pay attention to the present. September 16 – While at times you might feel as if you are a ship sailing alone in an unchanging ocean, the reality is that everything is connected and always changing. Lucky for you, these connections and ever-changing situations present the opportunities to achieve your goals.